The St. Anthony Hotel opened for business. 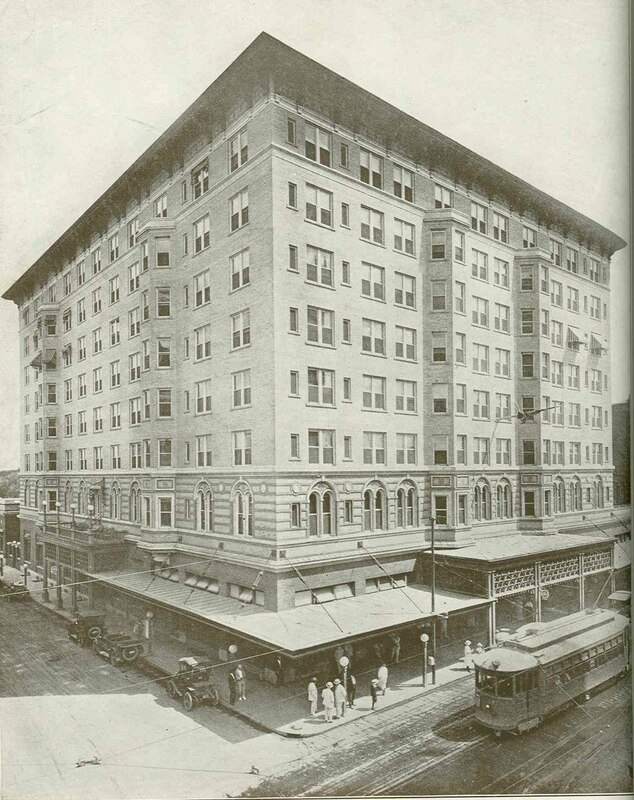 After its 1936 expansion, it will become one of the first hotels in the world to get central air conditioning. 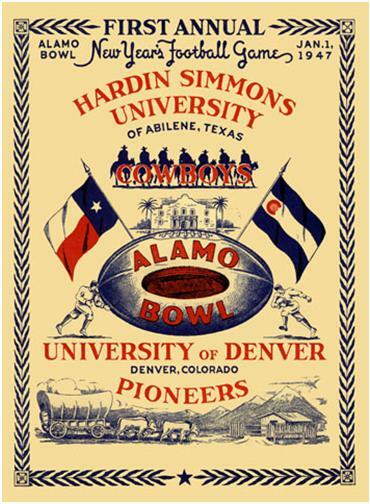 After a three-day delay due to icy conditions, the Alamo Bowl (right) is played in Alamo Stadium: Hardin Simmons 20, Denver 0. Game only draws a crowd of 3,730 spectators. The temperature never gets above 26 degrees. 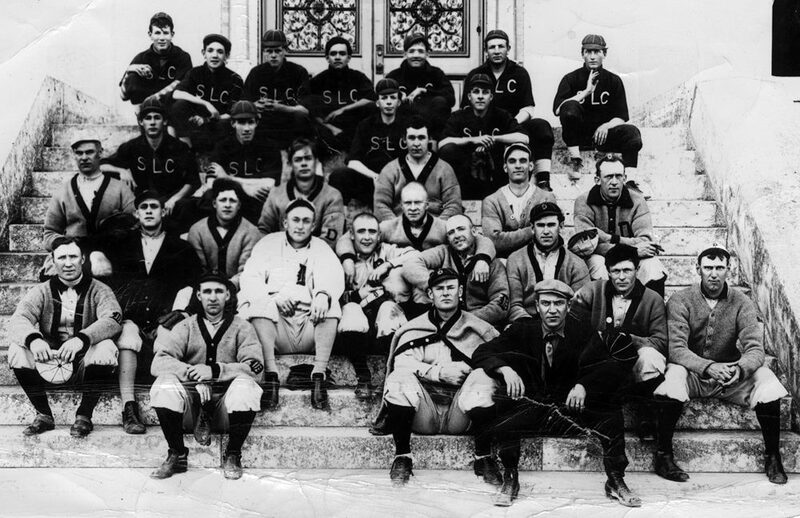 John Lang Sinclair, alumnus of the University of Texas and author of “The Eyes of Texas,” dies and is buried in Alamo Masonic Cemetery. Items relating to the life of John L. Sinclair may be found in the DRT Library on the Alamo grounds. Prentice Newman, the San Antonio mechanic who invented the fourth aeroplane to be tried in this country, soared to a height of 70 feet above the ground yesterday. The machine, towed by an automobile, crashed after the tow rope broke but Newman was uninjured. A month before their appearance on the Ed Sullivan show, the Beatles are shown on American television for the first time – on the Jack Paar Show at 9 p.m. on WOAI Channel 4. Gymnast Cathy Rigby (right) debuts as Peter Pan in a World Premiere engagement at Convention Center Arena. Rather than have the children of the poor steal wood from the premises of the city hospital, Mayor Callaghan announced this morning that he would willing issue and order giving a quantity of wood to the needy. Sale of new passenger cars and trucks was prohibited throughout the U.S. today under government orders mobilizing the entire auto industry for war production. The Alamo City receives 2.4 inches of snow for the first time since January 1982 and the highest total since 3.1 inches on Feb. 22, 1966. The new eight-story hotel (right) at Houston & St. Mary’s is christened “The Gunter” after Jot Gunter. It is planned to open in November. Cadet Frank Countryman of Kelly Field made a speech in Honey Grove, Texas last night. Near the end of the speech a little girl broke away from her parents, rushed up to Countryman, threw her arms around him and said she wanted to kiss him. Countryman took up the child and kissed her and said, “I am fighting for a little girl just like this, and so are we all.” People in the audience, with tears streaming down their faces, pledged $156,000 to the Liberty Loan. Carol Creighton Burnett is born in San Antonio, near W. Commerce and Rosillo streets to Ina Louise and Joseph Thomas Burnett. The St. Anthony Hotel opens for business. After its 1936 expansion, it will become one of the first hotels in the world to get central air conditioning. The city passes two ordinances regarding prostitution: the first creates a city scavenger department, requiring a bond of $500 for all persons who “intend to engage in this work” and designating a mode of procedure. The work is to be done under the direction of the health department and the charges for such service will be stabilized. The second ordinance declares certain secret diseases contagious and infectious and requires all doctors treating persons affected by them to report these cases to the city health department. It also prohibits the sale of patent medicines which are offered as cures for these diseases. The Gunter Hotel is completed and opened for business. The hotel stands on the former site of the Vance House. Previous to that, it was the site of U.S. Army barracks and was the headquarters of Robert E. Lee, Albert Sidney Johnston and other Civil War heroes. A permanent military band of seventy-five pieces may enrich the musical life of San Antonio. The plan has been developed, the nucleus of the organization has been formed at Kelly Field but approximately $4500 is needed for the maintenance of the band. The 11th annual International Fair at San Antonio was opened today by Gov. T. M. Campbell. The ceremony followed a big street parade viewed by thousands of spectators. The first minute inspection of Camp Travis’ grounds and buildings by Major General Henry T. Allen, division commander, and members of his staff, was made this morning. They found the camp was deserving of the commendatory remarks passed by civilian visitors, who have been struck by its cleanliness. President William Howard Taft arrives in San Antonio at 7:10 p.m. on the presidential train to lay the cornerstone for and to dedicate the new chapel at Ft. Sam Houston. Striking airplane posters by J. Paul Verees, showing the American war plane in flight with its blue star marking, have been received at the departmental aeronautical office at Ft. Sam Houston. As a result of this campaign, it is expected that men will begin to come into Kelly Field by the thousands within the next few weeks. “Join the air service and serve in France” is the inscription on the poster. George Bush speaks at Laurie Auditorium.